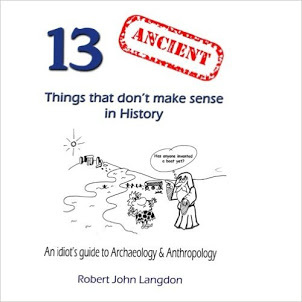 13 Ancient things that don't make sense in History: 4. 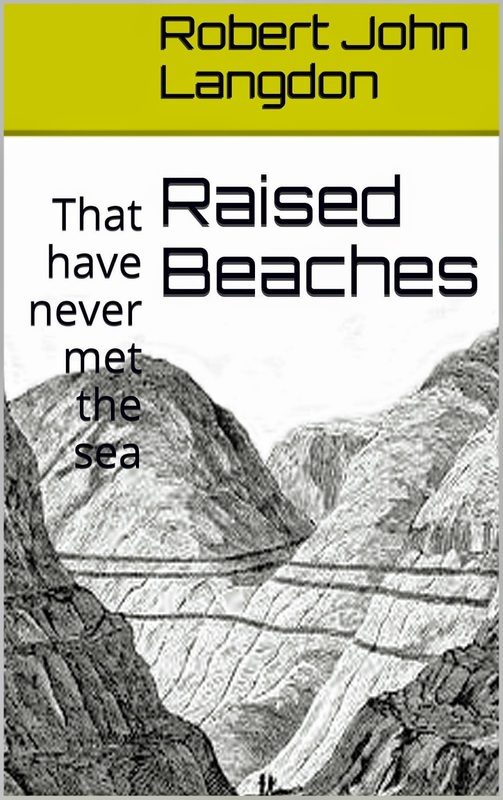 Raised Beaches - that have never met the sea. A raised beach, marine terrace, or perched coastline is an emergent coastal landform. Raised beaches and terraces are beaches or wave-cut platforms high above the current shoreline relative to a fall in the sea level. These are clearly seen in areas such as Norway or Scotland where the ice cap has compressed and sunk the ground surface layer (Isostatic Transformation) and has over thousands of years rebounded back to its original height. 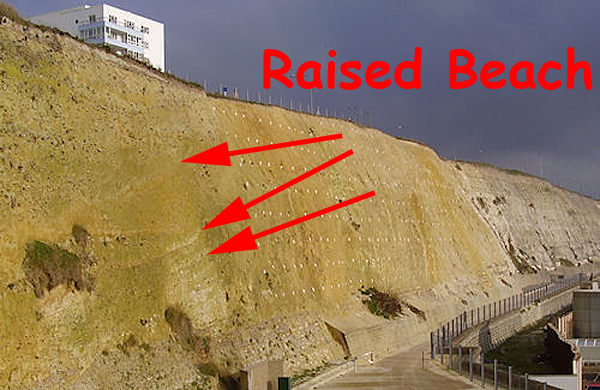 One of the classic cases of these ‘Raised Beaches’ is on the South Coast of Britain between Bournemouth and Brighton. Unfortunately, an ice cap has never reached these areas during the last half a million years, although the raised beaches are sitting just 18” below the top soil. Theories of how this sandy layer that appears in the soil layers high in hill sediments are abundant, including British tsunamis (giant tidal waves that left sand deposits on hills). The total displacement of the shoreline relative to the age of the associated interglacial stage allows calculation of a mean uplift rate or the calculation of eustatical level at a particular time if the uplift is known. To estimate vertical uplift, the eustatic position of the considered paleo sea levels relative to the present one must be known as precisely as possible. Our chronology relies principally on relative dating based on geomorphologic criteria but in all cases, we associated the shoreline angle of the marine terraces with numerical ages. The best-represented terrace worldwide is the one correlated to the last interglacial maximum (MISS 5e) (Hearty and Kindler, 1995; Johnson and Libbey, 1997, Pedoja et al., 2006 a, b, c). Age of MISS 5e is arbitrarily fixed to range from 130 to 116 ka (Kukla et al., 2002) but is demonstrated to range from 134 to 113 ka in Hawaii and Barbados (Muhs et al., 2002) with a peak from 128 to 116 ka on tectonically stable coastlines (Muhs, 2002). Older marine terraces well represented in worldwide sequences are those related to MIS 9 (~303-339 ka) and 11 (~362-423 ka) (Imbrie et al., 1984). Compilations show that sea level was 3 ± 3 meters higher during MIS 5e, MIS 9 and 11 than during the present one and –1 ± 1 m to the present one during MIS 7 (Hearty and Kindler, 1995, Zazo, 1999). Consequently, MIS 7 (~180-240 ka; Imbrie et al., 1984) marine terraces are less pronounced and sometimes absent (Zazo, 1999). When the elevations of these terraces are higher than the uncertainties in paleo-eustatic sea level mentioned for the Holocene and Late Pleistocene, these uncertainties have no effect on overall interpretation. The sequence can also occur where the accumulation of ice sheets depressed the land so that when the ice sheets melt the land readjusts with time thus raising the height of the beaches (glacial- isostatic rebound)and in places where coseismic uplift occurs. In the latter case, the terraces are not correlated with sea level high stand even if co-seismic terraces are known only for the Holocene. And here lies the problem with this theory - it’s far too complicated to be true! • When sea levels fall, more of the coastline is revealed. Beaches, no longer combed by wave are left, stranded and exposed above the new sea level. • These features are called raised beaches. • The lower part will often show signs of marine erosion, and a small cliff may be formed. 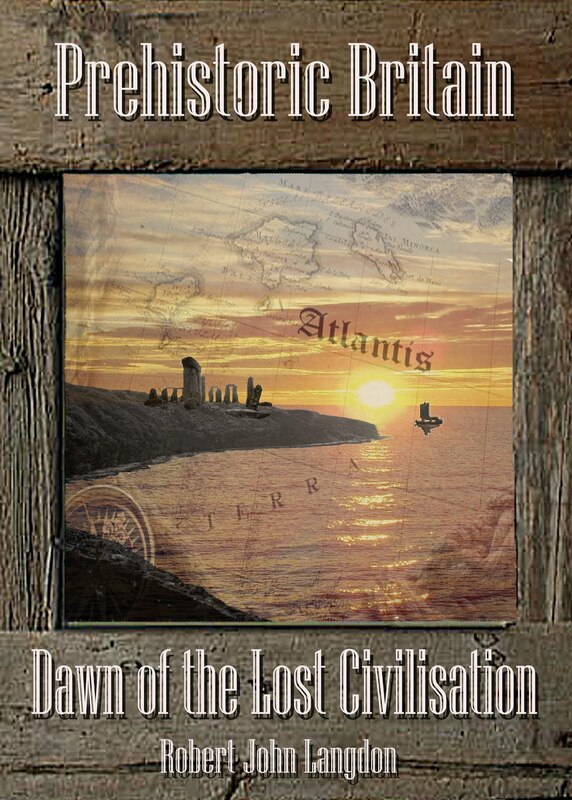 • Any former cliff-line is also left stranded. No longer undercut by the sea that becomes a degraded cliff. Over time, it will often become clothed in shrubs and bushes – a sure sign of physical inactivity. Geologists have come up with this complex argument for a natural phenomenon because quite clearly we see sandy soil levels in hills and other places where we perceive that water has not been for some millions of years. In some countries, this geological problem can be easy dismissed as within the last 20,000 years (a relatively short and recent period in geological terms) these areas have had ice covering them from the previous ice age and the severe conditions that produce is always a good excuse for such events. These events include the rising and falling of continents (isostatic transformations) although closer examination of these events that shows if they were causing these raised beaches the effect was limited. Geologists claim that raised beaches in Western Scotland have been recognised 8m, 15m and 30m above the present sea level and raised beaches can only technically exist and be seen in coastal areas as the surface area below the beach had to be cut away by the sea to reveal the raised beach. Now the first problem with this theory is that these beaches are at different levels. If you look at a map of the UK today, you will notice all the beaches are at one level - sea level. So this is where ‘localised’ factors are introduced to the geological equation. The sea in the past was lower than today and at the end of the last ice age it would have been some 60m lower - so these Scottish-raised beaches are not 8m, 15m and 30m higher than sea level but 68m, 75m and 90m. Canada and the United States, the coastal region of the US state of Maine, parts of Patagonia, and Antarctica. You instantly know when the academics are floundering for explanations when they use a variety of different words for the same effect. This is because when they get stuck using one explanation they will tell you ‘no that’s glacial isostasy, this is a glacial isostatic adjustment - something completely different.” A sure way of saying ‘no idea, but if I make up a series of complex names with intelligible explanations - they will not ask me awkward questions and think I’m clever!’ This well known - (bluff them with science or statistics) ploy is also used by politicians and the financial services’ sectors. During the last glacial period, much of northern Europe, Asia, North America, Greenland and Antarctica were covered by ice sheets. The ice was as thick as three kilometres during the last glacial maximum about 20,000 years ago. The enormous weight of this ice caused the surface of the Earth’s crust to deform and warp downward, forcing the viscoelastic mantle material to flow away from the loaded region. At the end of each glacial period when the glaciers retreated, the removal of the weight from the depressed land led to slow (and still ongoing) uplift or rebound of the land and the return flow of mantle material back under the deglaciated area. Due to the extreme viscosity of the mantle, it will take many thousands of years for the land to reach an equilibrium level. Studies have shown that the uplift has taken place in two distinct stages. The initial uplift following deglaciation was almost immediate due to the elastic response of the crust as the ice load was removed. After this elastic phase, uplift preceded by slow viscous flow so the rate of uplift decreased exponentially after that. Today, typical uplift rates are of the order of 1 cm/year or less. In northern Europe, this is clearly shown by the GPS data obtained by the BIFROST GPS network. Studies suggest that rebound will continue for about at least another 10,000 years. The total uplift from the end of deglaciation depends on the local ice load and could be several hundred metres near the centre of rebound. Recently, the term post-glacial rebound has gradually been replaced by the term glacial isostatic adjustment. This is in recognition that the response of the Earth to glacial loading and unloading is not limited to the upward rebound movement, but also involves downward land movement, horizontal crustal motion, changes in global sea levels, the Earth’s gravity field, induced earthquakes and changes in the rotational motion. An alternate term that is sometimes used is glacial isostasy because the uplift near the centre of rebound is due to the tendency towards the restoration of isostatic equilibrium (as in the case of isostasy of mountains). Unfortunately, that term gives the wrong impression that isostatic equilibrium is somehow reached, so by appending “adjustment” at the end, the motion of restoration is emphasised. Alternatively, in simple terms - the ice age squashed the surface of the planet and made it sink and then when the ice had gone it popped up again! So as the land went from squashed to where we see it now, the beach would have brushed against it creating a beach and that is what we see today in the cliffs! Job done, easy explanation, go home students. We can see beaches at 8m, 15m and 30m, but where are the 1m, 2m 3m 4m 5m 6m…. 29m beaches which would also be on the shoreline of this rising cliff face? If the sea has cut away the shoreline washing away the 1-7m, 1-15m and 1 - 29m shoreline, then behind the raised beach, there should be a 9m, 16m and 31m beach, which will be exposed if this suggested weathering continues. However, there is not - the only beach is found at one level, and that is a fundamental flaw in the hypothesis. Tsunamis affecting the British Isles are extremely uncommon, and there have only been two confirmed cases in recorded history. However, meter tsunamis are somewhat more common, especially on the southern coasts of England around the English and Bristol Channels. 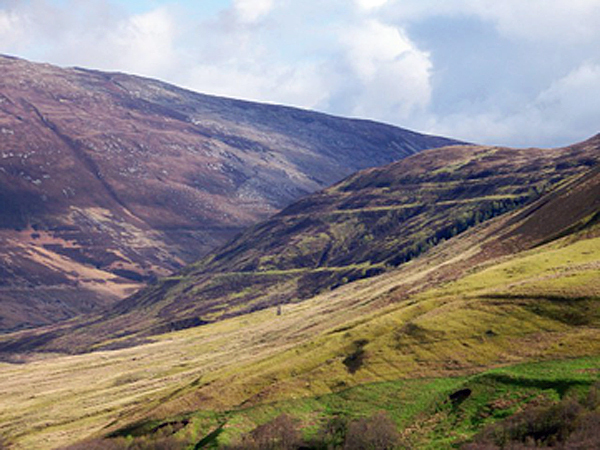 The classic case geologists use as an example occurred in Scotland (6100 BCE) from the Storegga Slide. 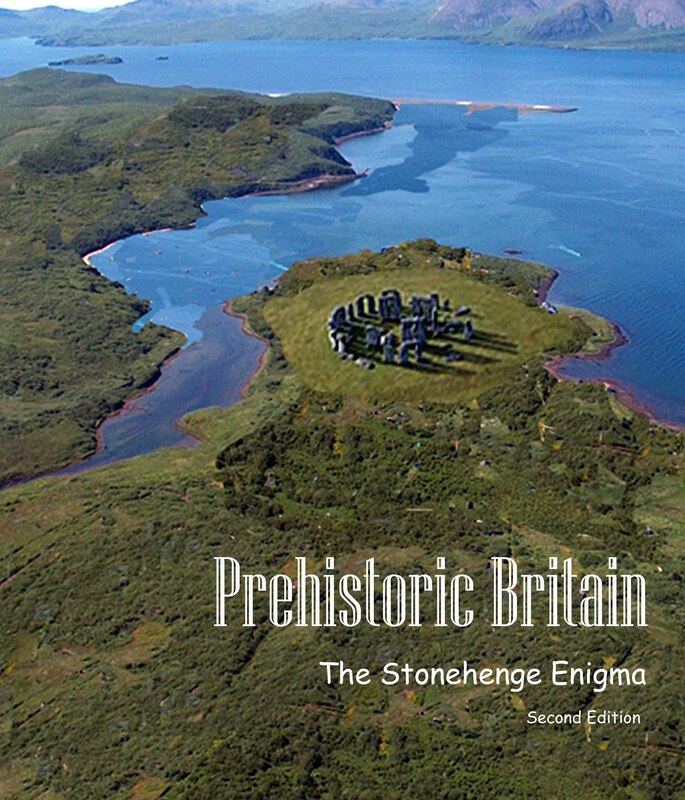 The east coast of Scotland was struck by 70 feet (21 m) high tsunami around 6100 BCE, during the Mesolithic period. The wave was caused by the massive underwater Storegga slide off Norway, which occurred then. The tsunami even washed over some of the Shetland Islands. 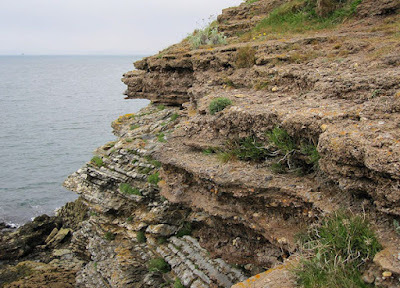 Tsunamite (the deposits left by a tsunami) dating from this event can be found at various locations around the coastal areas of Scotland, and are also a tourist feature in the Montrose Basin, where there is a layer of deposited sand about 0.6 metres (2.0 ft) thick. At the time, what became the east coast of England was connected to the areas of modern Denmark and The Netherlands by a low-lying land bridge, now known to archaeologists as Doggerland. The area is believed to have had a coastline of lagoons, marshes, mud flats, and beaches, and may have been the richest hunting, fowling and fishing ground in Europe then available. Much of this land would have been inundated by the tsunami, with a catastrophic impact on the local human population. Sadly, geologists are not mathematicians and the numbers do not work! Remember earlier I had mentioned that in the past, sea levels were lower than today by as much as 60m at the end of the Ice Age. Well, by 6100BCE, the seas were not 60m lower, but according to marine geologists 20m lower than today. So a huge 21m wave would have indeed swamped Doggerland, but would only be 1m higher than today’s sea level, so the deposits, they list found 20m higher than today’s sea level could not be caused by this tsunami. This leaves geologists in a complete mess, as pointed out in the Wikipedia article these deposits are dated at 6000BCE so they could not be a ‘raised beach’ as it was 20m below! Fortunately, for us, the date of 6100BCE does allow us to find an answer to this mystery! The ice, age melted just a few thousand years before this date, which created a ‘Post Glacial Flooding’,’ which would have carried similar quantities of sand and pebbles like a beach to the shorelines of these ancient waterways as we see in our case study. However, below these cold stage rubbles can be seen a bed of rounded flint gravel identical to that you might find on the beach at Brighton today. Nevertheless, these pebbles were laid down between 200 and 250 thousand years ago and are now some 8 - 10m above modern sea level. They were laid down during a phase of global warming around a quarter of a million years ago and have been elevated to their current height above sea-level through long-term uplift of South East England as a result of tectonic processes. These gravels and others surviving beneath the Sussex Coastal Plain between Brighton and Chichester form a record of changing environments over millennia. They are known as Raised Beaches and can be traced running inland parallel to the modern Sussex coast. The Brighton Raised Beach can be traced through Kemptown, Hove, and Worthing and then on to Portsmouth as an extensive spread of sands and gravels overlain by inter-tidal silts and occasionally preserved landscapes. They are often associated with Black Rock and elsewhere with the bones of horse and mammoth. However, they are quite deeply buried and so the Black Rock cliffs provide a unique visible exposure through these sediments. One the face of it, the description and logic seem quite plausible and so most people accept this as gospel and then raised beaches become part of our geology – but there are problems here. Remember all the information about ‚Isostatic transformations’; the bottom line was that all these beaches were caused by the landmass rebounding after the last ice age, as up to a mile of the glacier were on the surface squashing the landmass. In Brighton, there was no glacier; it finished about 100 miles away. Now, this fact is only recent (as geology is constantly reinventing itself) but at the time of Raised Beaches in Brighton was introduced, they believed that the South Downs were carved from an ice sheet, so modern geologists have a problem with dates. 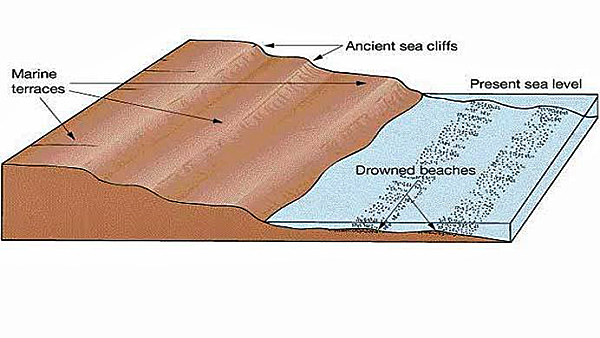 We have moved from 10 -20,000 years for the formation of the raised beaches to now 250,000 years. Cliffs at Brighton Marina hide remains from Ice Age. If you had to name sites in Sussex where you could see Ice Age archaeology, Brighton Marina would hardly spring to mind. However, right by the entrance to the complex, by a superstore car- park, lays a stretch of cliff, which had traces from the Palaeolithic era, which are over 200,000 years old. Matt Pope, who is a researcher and archaeologist at University College London, says they are distinctive to the rest of the coastline. “Anyone looking at these cliffs would think they are part of the chalk cliffs of Sussex,” he told the BBC. “But if you look at them carefully, you’ll see these cliffs aren’t nice and clean. Archaeologist Matt Pope“ They’re a horrible, muddy, reddish colour. They’re made of mud, which slid into a valley 200,000 years ago.” The cliffs are covering a beach which is more than 200,000 years old and now lies around 15 metres above current sea level. “From the beach, we’ve picked up the tools of ancient Neanderthals and the bones of the animals they were hunting,” Matt continued. The problem with this assumption is that these animals are over 250,000 years old. We know from the dredging of the bottom of the sandbank called Dogger that these same bones are being collected to be sold on the Internet. Dogger sank less than 10,000 years ago and the bones that are currently being collected are on the surface of the sandbank so these animals would have been alive at the time of Doggerland sinking. The Raised Beach Deposits can be Archaeology South-East Brighton International Arena, Black Rock clearly seen as a lighter band near the bottom of the cliff (in Plate 5). New dating methods, which measure amino-acid ratios from shells preserved in sediments, date the Brighton-Norton formation to approximately 200,000 years Before Present (BP) (ibid.). 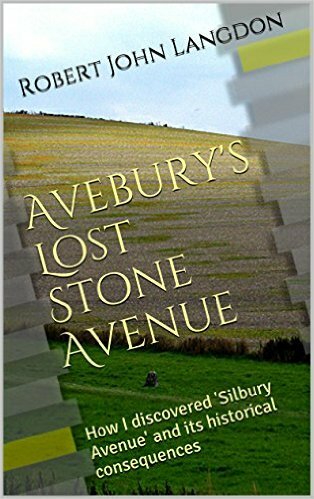 Although archaeological finds from this sequence are relatively rare, it is likely that Sussex was occupied by a Neanderthal type population at this time, alongside cold climate mammals such as horse and mammoth (ibid.). Faunal remains from the sequence include horse, bison and red deer. As with all the raised beach deposits in Sussex, the Black Rock exposure is of international importance, and as such is classified as both an Archaeologically Sensitive Area (ASA) and a Site of Special Scientific Interest. Sadly, you indeed see a line of sandy soil, but what is not explained is the fact that it is ‘concave’ in shape and in the centre, there is a tonne of chalk and if you follow the line, it flies off into the air. 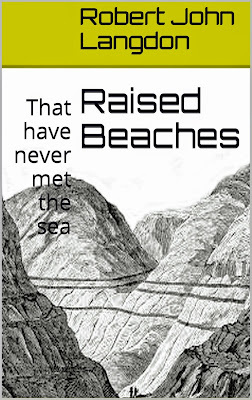 Now the report talks about the chalk cliff’s ‚raised beaches’ from Portsmouth to Brighton, but does not explain why they stop at Brighton as they go all the way around the coast to Eastbourne. Now these cliffs are of a similar age and deterioration which can be seen from the chert layers that is embedded into the chalk cliffs. So either these ‘beaches’ stop for some unknown reason or the geologists have dug themselves out of one hole just to 'fall’ into another. So what is the answer to this mystery? If we go back to the evidence of the raised beach, we find something very unusual. The beach has been entombed by a tonne of chalk. Currently, this chalk is called ‘unstructured’, and this term is used when chalk has been broken away from the ‘solid’ chalk and relayed down. Now the question you should ask is ‚what has happened’ to this part of the chalk cliff and does it have some relevance to the ‘raised beach’ found? Looking at a British Geological Map of the South Downs and what is called ‘superficial deposits’ (anything that is not bedrock and millions of years old) you will find the strangest patterns weaved into the sub-soil. They look like a vast tree and its branches, but rather than starting from the trunk and moving outward to the leaves, they originate high on the hills of the South Downs and move down to the sea - from branch to trunk. These are deposits of what geologists call ‘head’ in the branches and ‘alluvium’ in the trunks of this most bizarre formation. What links these superficial deposits is the fact that they are made up of the same substances - sand, silt and pebbles. These are the remains of what I call the ‘Post Glacial Flooding’ that affected our land some 10,000 years ago when the ice age finished, and the ice caps melted. After the last ice age when two miles thick of ice lay on our tiny little island, rather than the water from this great melt simply running away into the sea as most of the so-called ‘experts’ believe, it did, in fact, seep into the soil and rocks creating vast lakes under the ground which hydrologists call ‘aquifers’. 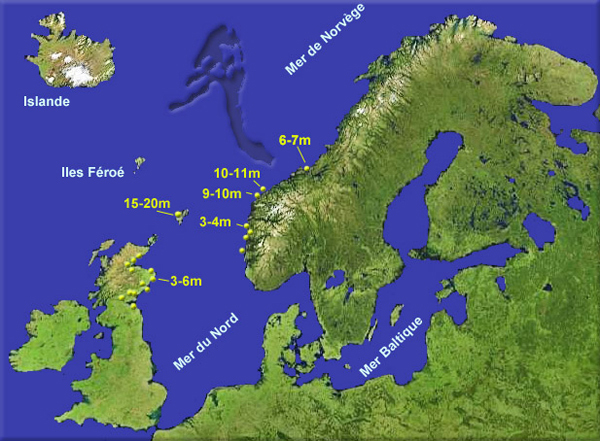 Because of the extreme mass of the melting ice (remembering that usually a couple of inches of rain normally result in massive flooding even today) the 126,000 inches of equivalent rain must have swamped the landscape after the last ice age and stayed flooded for thousands of years afterwards. Is this what we see on the Cliffs of Brighton? The fact that this ‘raised beach’ is found to be concave like the bottom of a river and doesn’t follow a flat path horizontally across the cliff in a straight line that follows the chert layers, which were laid some 80 million years earlier, clearly shows a problem of constancy. The tonnes of chalk that lay broken on top of this beach also show that another force (unexplained) was acting in this region at the same time that the beach was constructed. However, what is more, compelling are the BGS maps showing that this ‘beach’ was just one (a very large one I grant you) post-glacial exit from the flood waters of the great melt which affected our land some 10,000 years ago, which would explain the animal bones that were found in these deposits? The other anomaly that came from their research was the amino-acid dating of shells found on the bottom of the beach. This can easily be understood by the fact that the flood waters would have cut into the Cliff chalk surface (and in some cases this is as deep as 15m) and pushed the debris down the river to be re-laid at a point close to a river’s exit by the sea, as we see today in most rivers. Moreover, these post-glacial rivers affect all parts of Britain, which would also explain the 8m, 15m and 30m beaches of Scotland and the 20m tsunami found inland. Post Glacial Flooding, a reality that not only affected Britain, but we are finding from investigations by the Russian Archaeological Federation affected other parts of the world, including the Black and the Caspian Sea. To ignore the facts that this island must have flooded in the recent past with some 40,000 inches of water from the last Ice Age is to overlook the most likely candidate for theses sand shelves on top of our hills in favour of a recent discovery which at best would leave a relatively small layer of sand on the surface of these hills, which has not be duplicated in recent tsunamis. A raised beach, marine terrace, or perched coastline is an emergent coastal landform. Raised beaches and terraces are beaches or wave-cut platforms high above the current shoreline about a fall in the sea level. These are clearly seen in the area such as Norway or Scotland where the ice cap has compressed and sunk the ground surface layer (Isostatic Transformation) and has over thousands of years rebounded back to its original height. 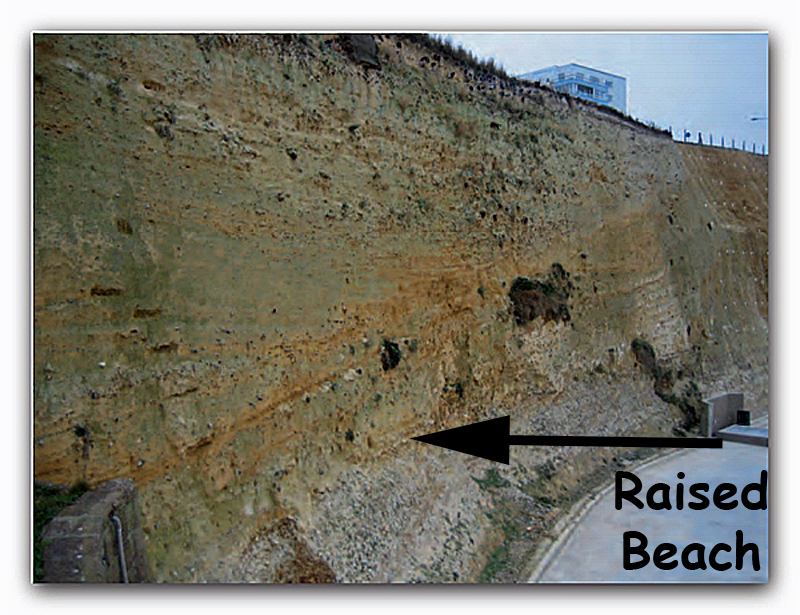 One of the classic cases of these ‘Raised Beaches’ is on the South Coast of Britain between Bournemouth and Brighton. Unfortunately, an ice cap has never reached these areas during the last half a million years, although the raised beaches are sitting just 18” below the top soil. Theories of how this sandy layer that appears in the soil layers high in hill sediments are abundant, including British tsunamis. So is there a more sensible answer to the fact that sand is seen 30m above the current sea level and what does that tell us about the environment of the recent past we did not know until now?